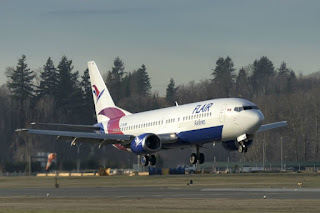 The low-fare Flair, of Canada, has announced a busy summer which has seen the airline double its flying operations and score a high load factor. More than 90% is far more than many in the industry had predicted for the friendly low-cost carrier. The airline is working closely with the local community around its new home base of Edmonton, as it truly becomes the city’s ‘hometown airline'. To further emphasise the point, already, some 75% of Flair's flights go through Edmonton International Airport EIA. Throughout the coming months, Flair will continue to relocate staff to its new HQ building at EIA, as well as hire new members of the team. Flair recently announced low fare service (starting in December) out of Edmonton, Winnipeg and Toronto (YYZ), to Palm Springs, Phoenix/Mesa, Las Vegas, Miami, Orlando and St. Pete/Clearwater. 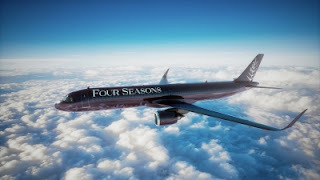 The airline is also moving forward with an impressive fleet expansion and renewal programme that should see up to 20 newer, more fuel efficient and longer-range aircraft in Flair's colours by the end of 2020. The first additions will start arriving in early 2019!